Dark Tales: Edgar Allan Poe's The Pit and the Pendulum. Dark Tales: Edgar Allan Poe's The Pit and the Pendulum: Amax Interactive brings you the newest chilling installment of the much beloved Dark Tales series! Your good friend Dupin has invited you to Pendulum House for an event filled with magic and illusions. But the show is interrupted when a murderer strikes! You quickly find a suspect, but nothing is quite as it seems in this mysterious manor. With Dupin in danger, do you have what it takes to find the culprit before it's too late? 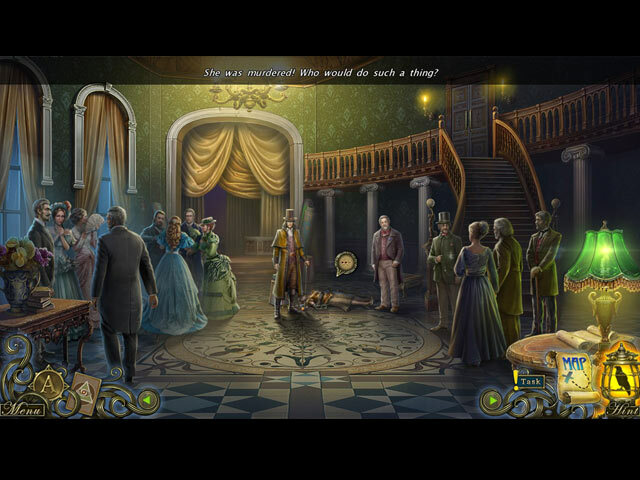 Find out in this hypnotizing hidden-object puzzle adventure! 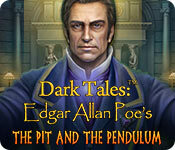 Dark Tales: Edgar Allan Poe's The Pit and the Pendulum Walkthrough.